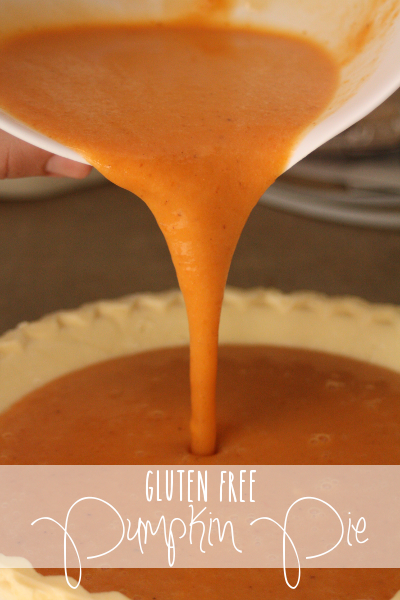 There are some really good gluten free pie crust recipes out there, but if you’re cooking for a crowd during the holidays nothing beats a good store-bought gluten free pie crust. It’s so fast, easy, and stress-free, and you don’t have to find a store that sells weird things like Xanthan gum and Arrowroot. And it’s for those exact reasons that this recipe doesn’t include a gluten free pie crust recipe. This store-bought crust is a very good alternative for those who may not be used to cooking gluten free but need to for the holidays. Preheat oven to 400 degrees. 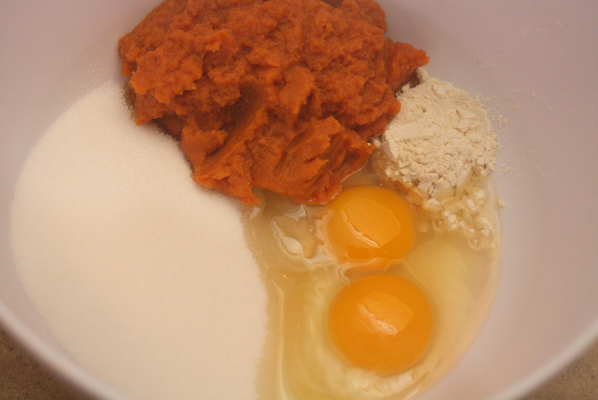 Mix together pumpkin, eggs, sugar, and flour until blended. Mix in milk and nutmeg. 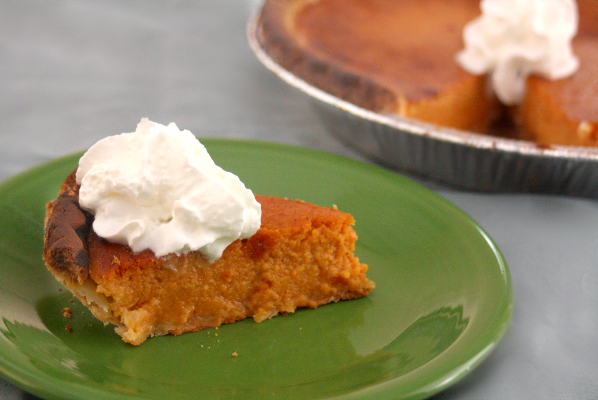 Pour into pie crusts. Bake for 45 minutes or until the filling is firm. Don’t forget about yours like I did. I ended up with a some of the crust a little burnt, but it’s still very tasty. This is not a sponsored post. 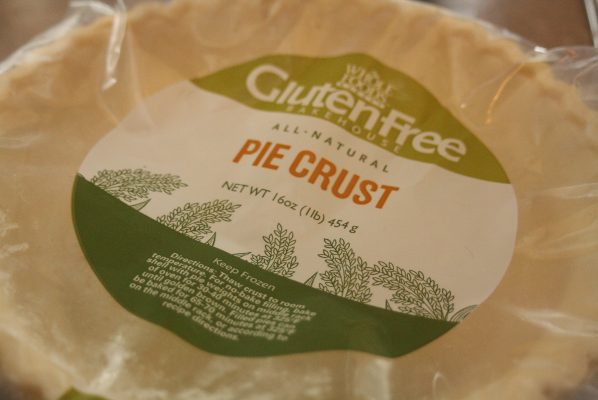 Whole Foods makes a mean GF pie crust, but they didn’t send it to me for free, and all opinions are 100% my own.